An important part of daily trade language, Incoterms® rules help exporters, importers, insurers, and others “speak” to one another through a series of short, 3-letter acronyms. 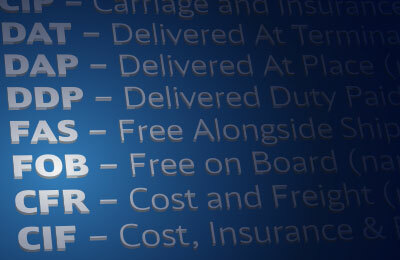 Updated in 2010, Incoterms were first published by the International Chamber of Commerce (ICC) in 1936. At the time, the global business organization had set out to understand the commercial trade terms used by merchants. Based on the findings of the studies, the first version of the Incoterms® rules was published and included the terms FAS, FOB, C&F, CIF, Ex Ship, and Ex Quay. Today, Incoterms are the internationally-recognized standard for both international and domestic contracts for the sale of goods. Developed and maintained by experts and practitioners brought together by ICC, Incoterms became the standard in international business rules setting. 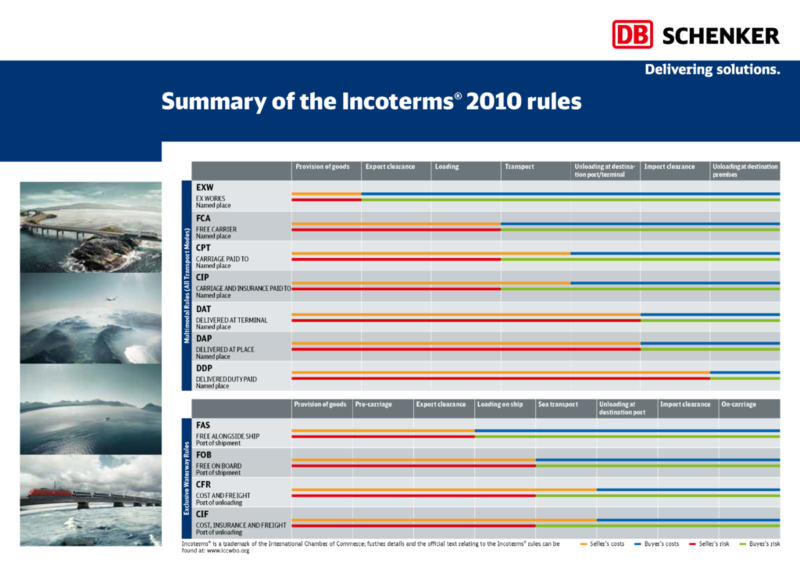 Launched in mid-September 2010, Incoterms 2010 went into effect in January 2011. The trade terms help traders avoid costly misunderstandings by clarifying the tasks, costs, and risks involved in the delivery of goods from sellers to buyers. 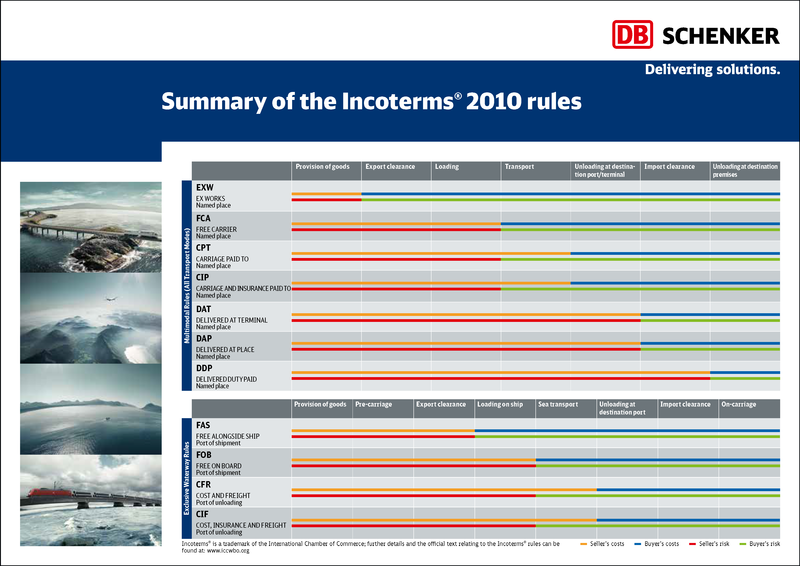 Incoterms rules are recognized by UNCITRAL as the global standard for the interpretation of the most common terms in foreign trade. UNCITRAL has been recognized as the core legal body of the United Nations system in the field of international trade law. 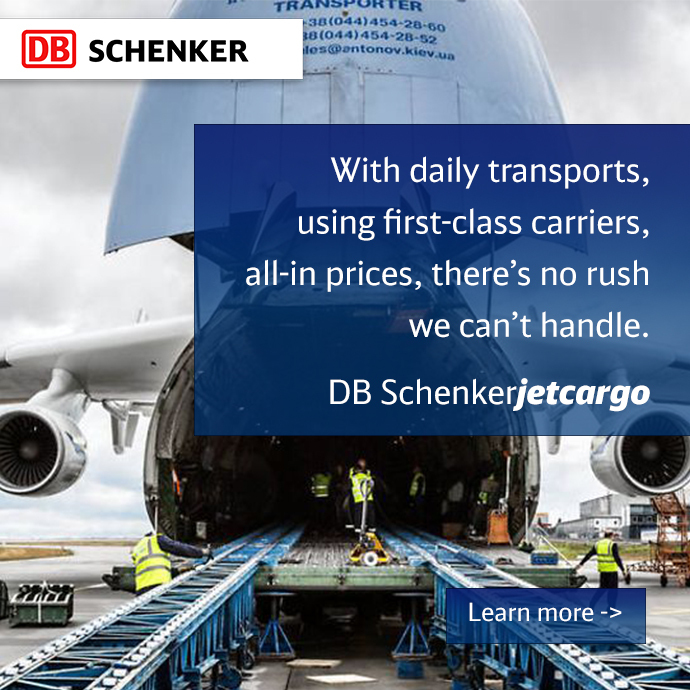 According to the ICC, their latest iteration consolidated the D-family of rules, removing DAF (Delivered at Frontier), DES (Delivered Ex Ship), DEQ (Delivered Ex Quay) and DDU (Delivered Duty Unpaid) and adding DAT (Delivered at Terminal) and DAP (Delivered at Place). Other modifications included an increased obligation for buyer and seller to cooperate on information sharing and changes to accommodate string sales. String sales are multiple sale of goods during transit. A useful tool for you to reference the latest edition – which you can find here. To keep pace with the ever-evolving global trade landscape, the latest update to the trade terms is currently in progress and is set to be unveiled in 2020. The Incoterms 2020 Drafting Group includes lawyers, traders, and company representatives from around the world. The overall process will take two years as practical input on what works and what could possibly be improved will be collected from a range of Incoterms® rules users worldwide and studied.